Here’s a piece of the perfect shift dress you have always been looking for - cute, versatile, easy to wear and suuuper comfy with its soft suede material! Featuring a round neckline and a flattering A-line silhouette that complements all body shapes. 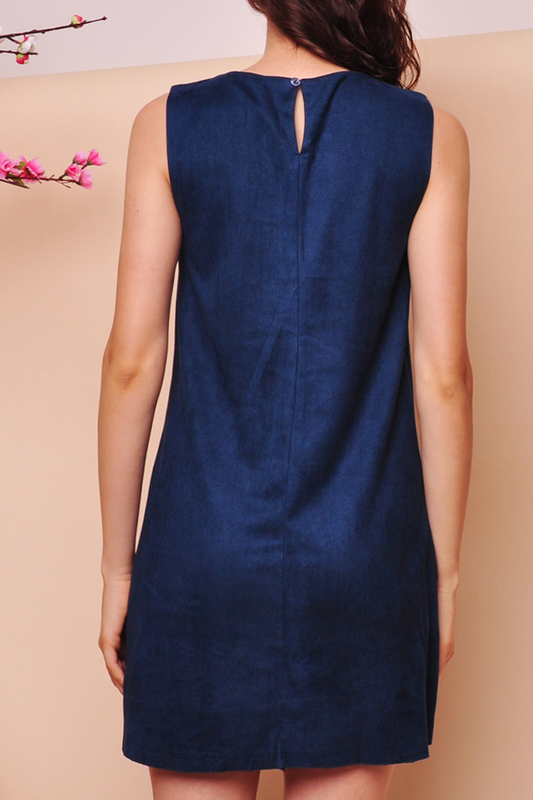 This dress also comes with two functional pockets at the front that gives its cute look! Throw over a denim jacket and a pair of sneakers for school or simply put on some neutral colour heels and be ready to head to work.